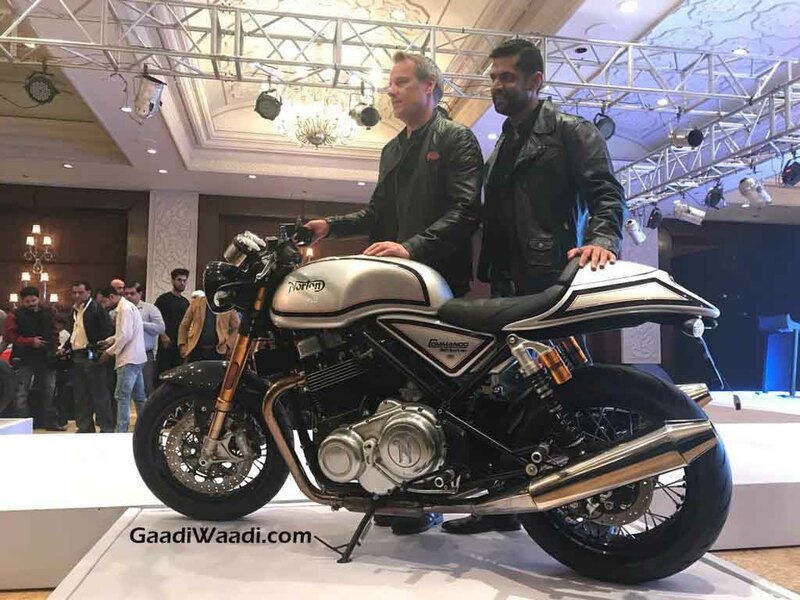 Norton the iconic British brand announced its partnership with Kinetic Group in November last year to enter the Indian two wheeler market. 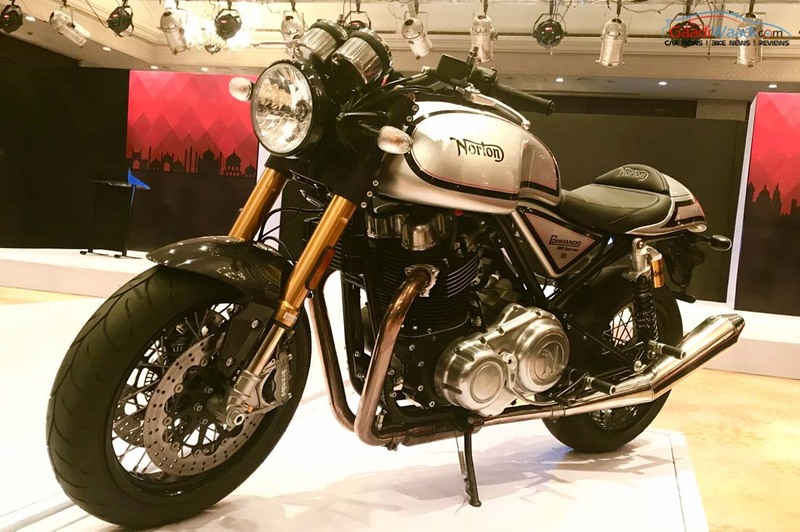 The British brand will sell its bikes through MotoRoyale and the first product coming to India is Norton Commando 961 Sport and Café Racer. MotoRoyale dealerships have started accepting bookings for Norton Commando 961, but the booking amount vary from dealerships as some are accepting Rs. 2 lakh for booking while others are asking for 50% of the ex-showroom price which is around Rs. 12 lakh. Norton bikes are very expensive as they are hand built and the attention to detail is high. Initially, Norton will bring bikes via CBU route which is why the Commando 961 is priced at Rs. 23 Lakh (Ex-Showroom). 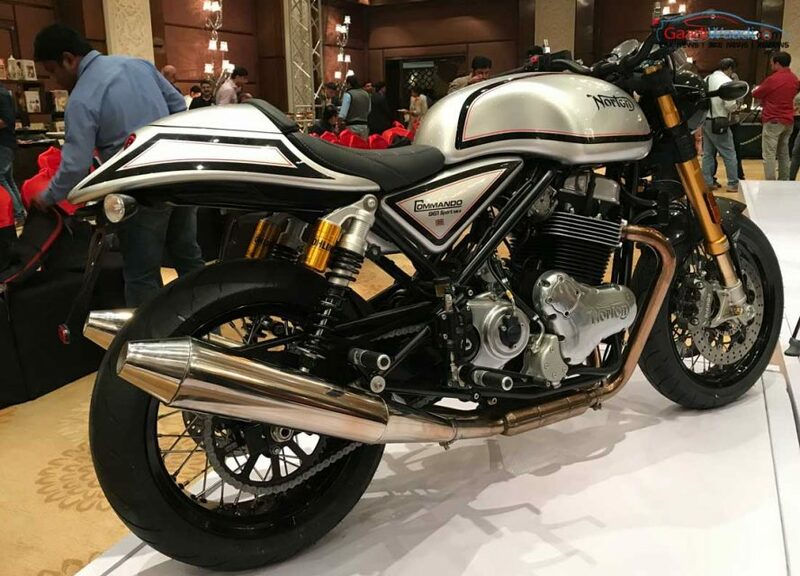 The number of CBU units allocated for India is 30 and by the end of 2018, Norton will begin assembly of its bikes at Kinetic’s plant in Ahmednagar. This will help Norton to price products aggressively. Norton Commando 961 design is based on café racer theme and it is powered by 961 cc parallel twin cylinder engine with air and oil cooling producing 80 PS of power at 6,500 rpm and 90 Nm of torque at 5,200 rpm. This engine is mated to 5 speed gearbox. The brakes are supplied by Brembo and they are dual 240 mm disc at front and 220 mm disc at rear. Norton has given 43 mm ohlins upside down forks at front and twin ohlins at rear. Norton is expected to commence deliveries of Commando 961 in June and it will be sold through Motoroyale dealerships which also sells MV Agusta and SWM. Motoroyale has dealerships in Delhi, Mumbai, Pune, Bangalore and Chennai. The British manufacturer wants to expand its dealerships to 12-15 cities by the end of this year to achieve the target growth. The Commando 961 competes against Triumph Thruxton R but with the expected price tag it will compete against MV Agusta Brutale 1090 RR and Ducati Monster 1200S.